For many years, the drummer of the long established local band Incognito would come out from behind the drums and sing “Ain’t Talking ‘Bout Love” when there was another drummer in the house to fill in. The crowd would go wild and many complimented how much he sounded like David Lee Roth. 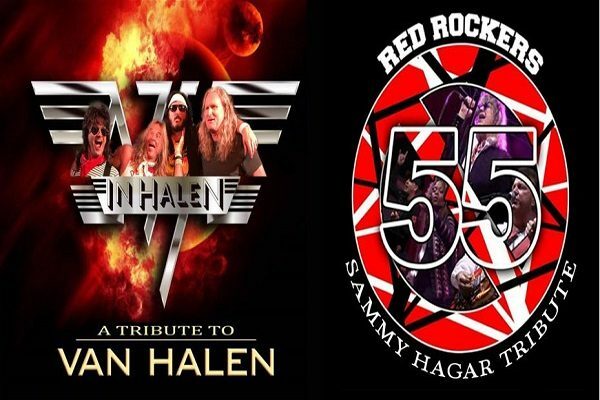 Incognito decided to make this into a project dedicated to Van Halen, and after an unrehearsed show with some new members from other local tribute bands, nailed down the final line-up for what can only be called a Dallas tribute band supergroup. Another project put together that features members of different local tribute bands and cover bands, The Red Rockers salute the music of Sammy Hagar with all those great rockin’ party songs The Red Rocker himself is best known for: Mas Tequila!, I Can’t Drive 55, Your Love Is Driving Me Crazy, Heavy Metal, Right Now, and so many more!